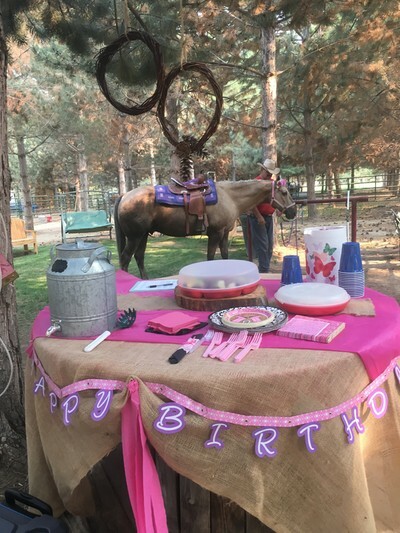 Horses, rustic decor, on the outskirts of Emmett Idaho. 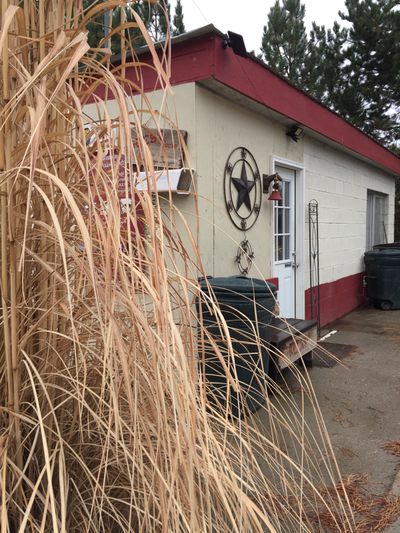 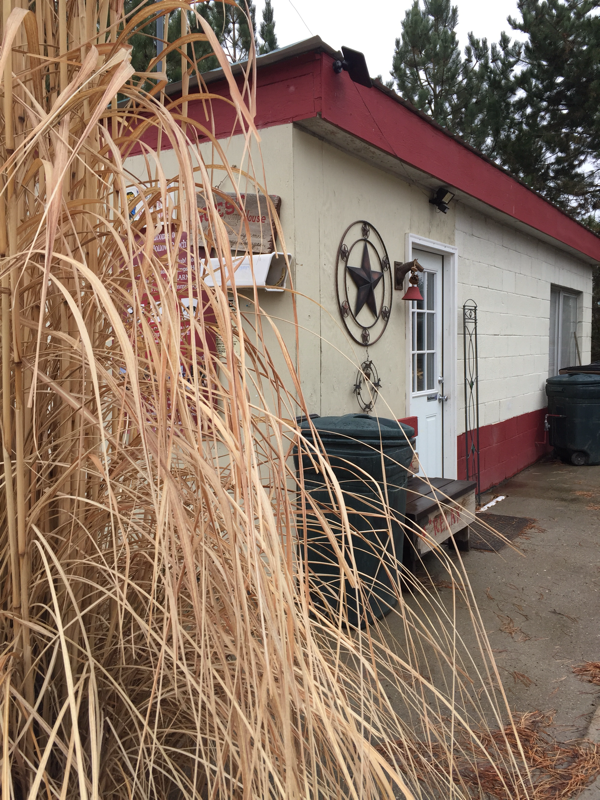 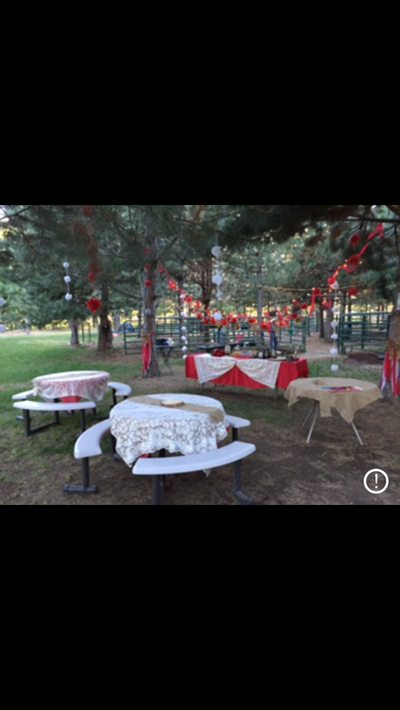 several outside pine tree picnic areas on 9+ acres. As a venue it is truly a class of its own! 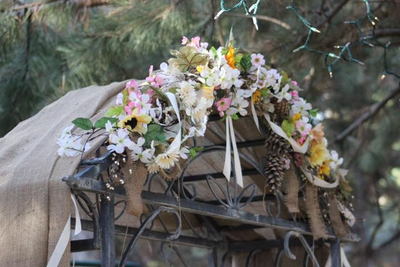 Please contact us for customizing your special day & a complete package price. ​(subject to change, Deposit reservation locks in your price package). 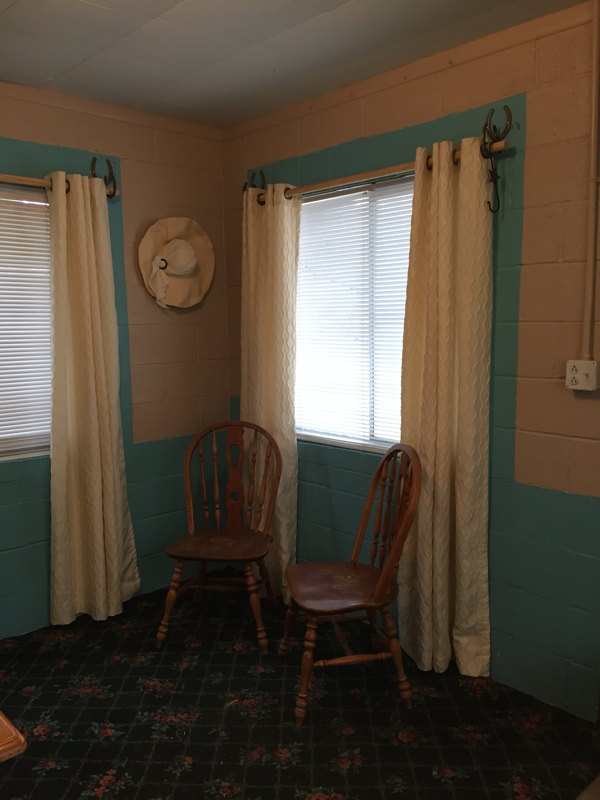 Guest House with kitchenette & bridle room. 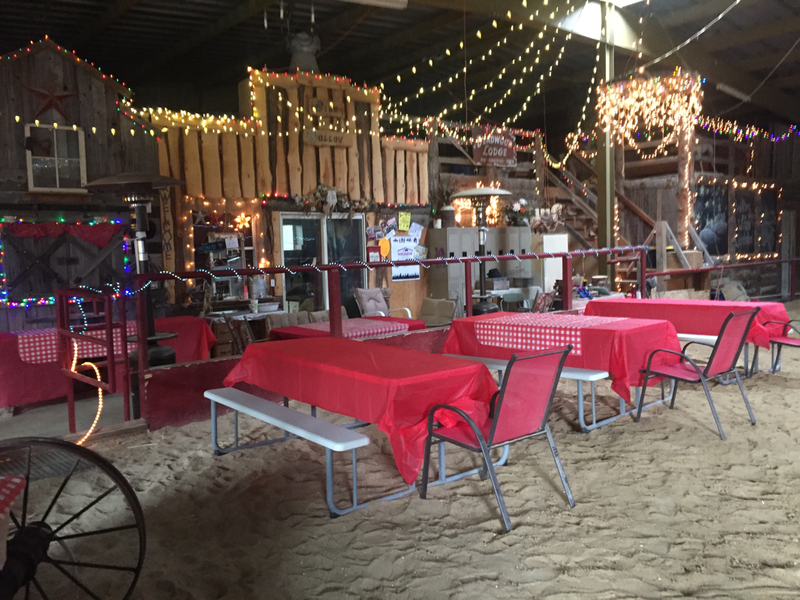 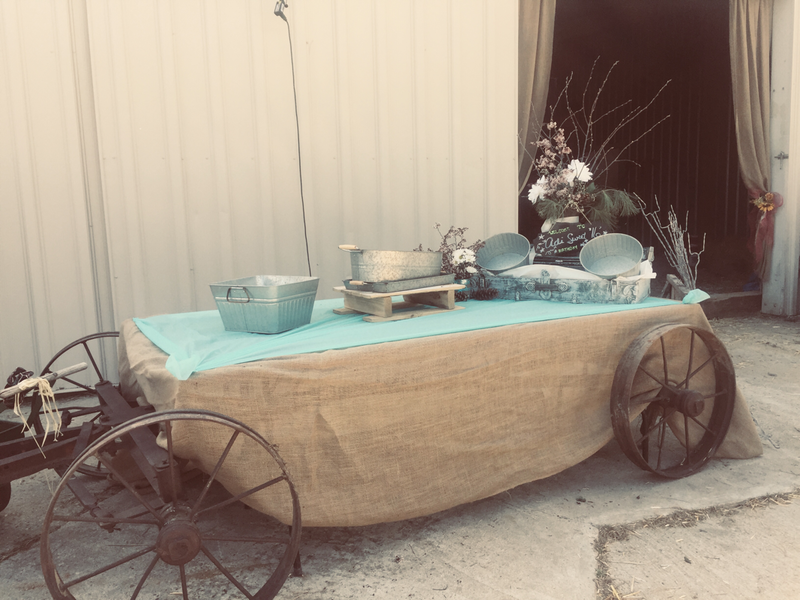 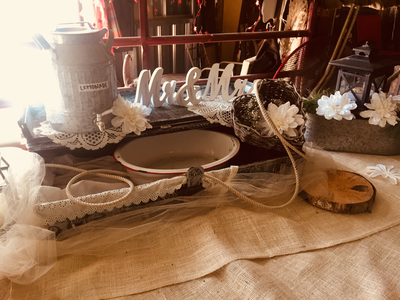 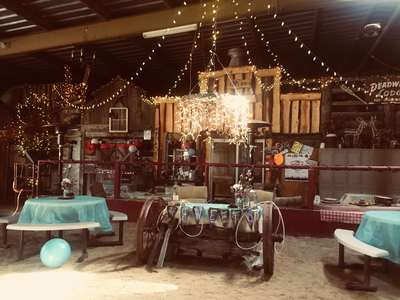 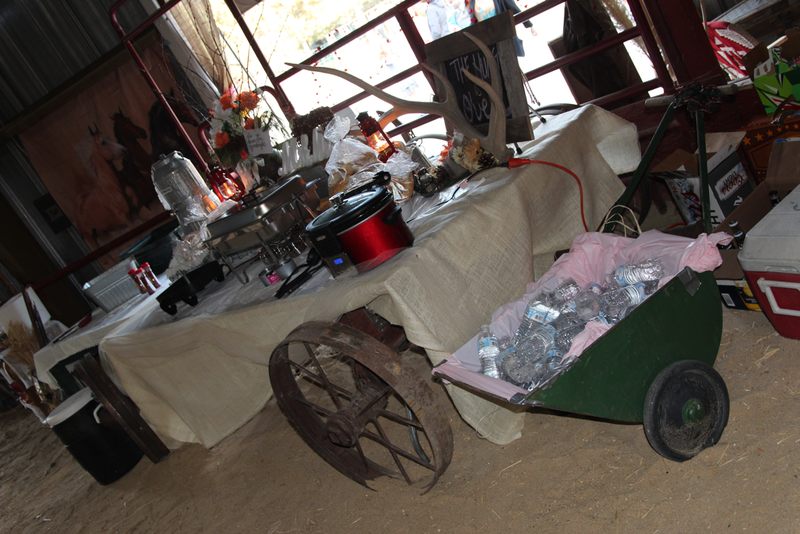 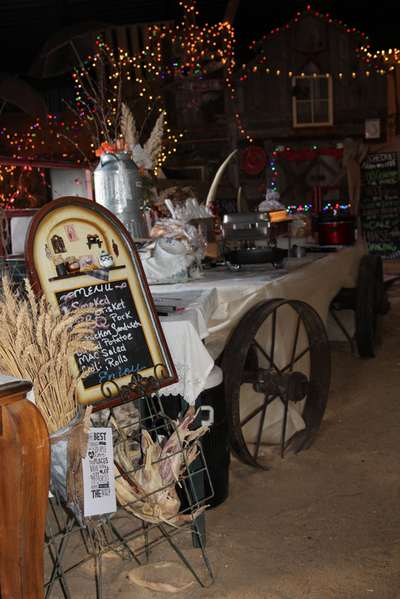 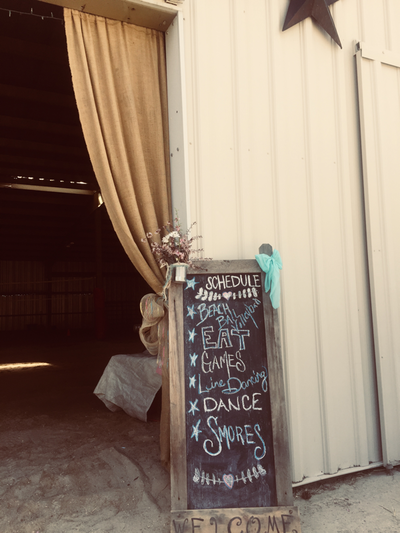 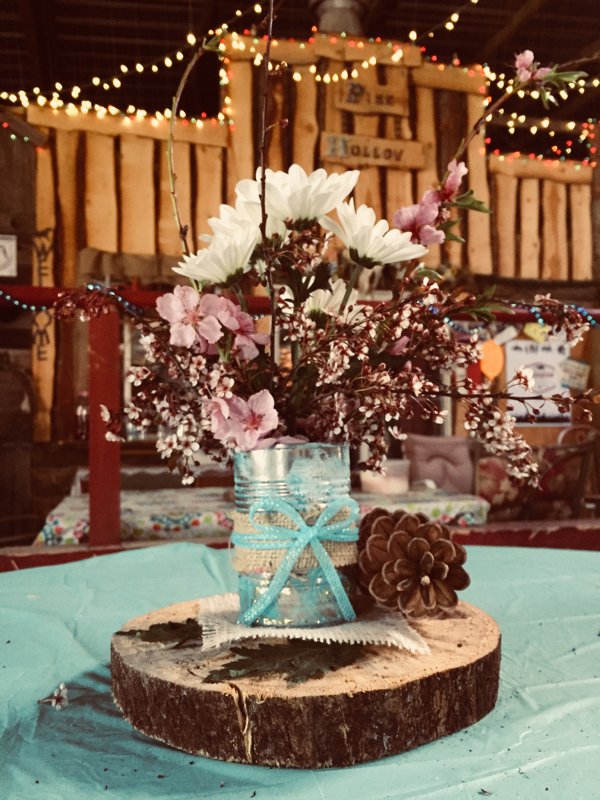 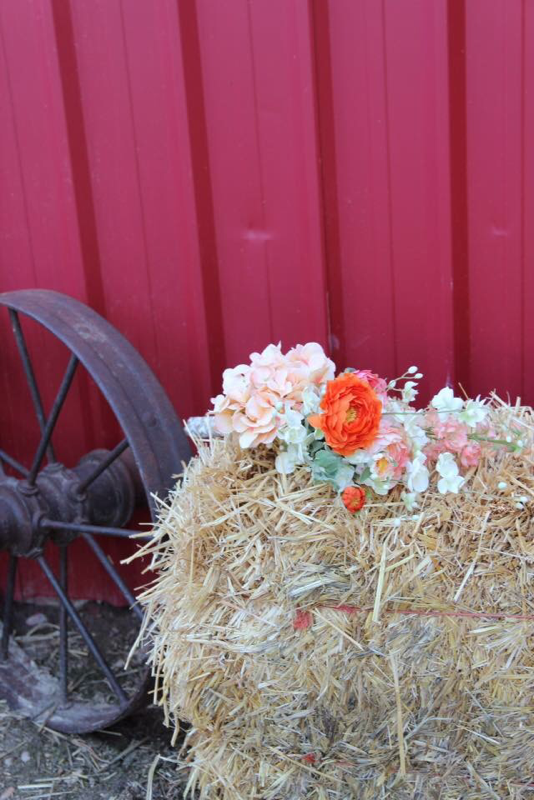 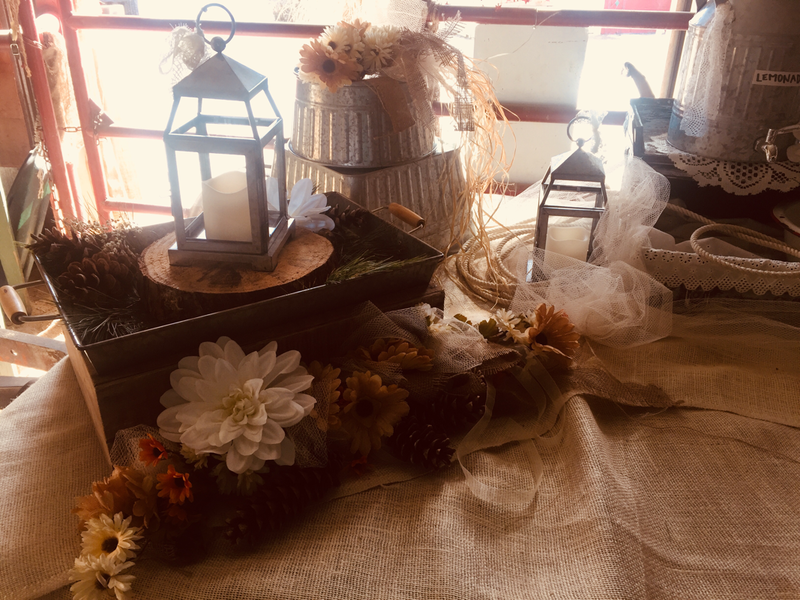 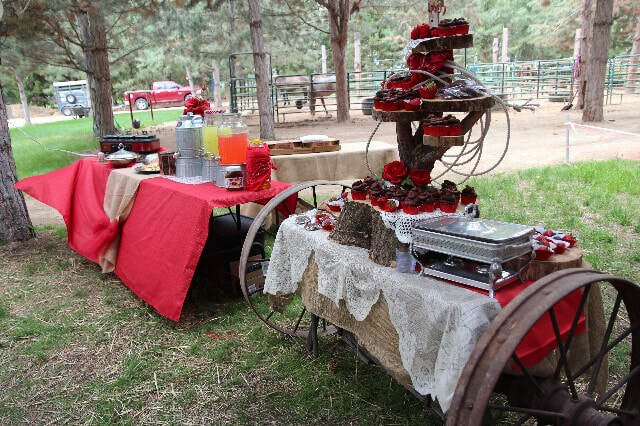 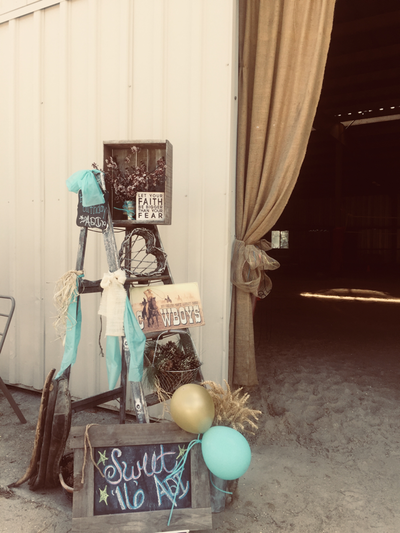 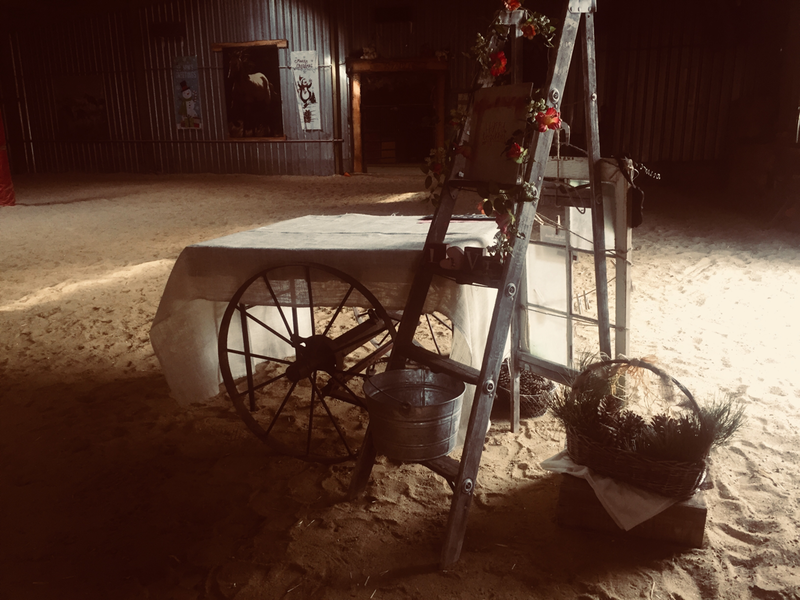 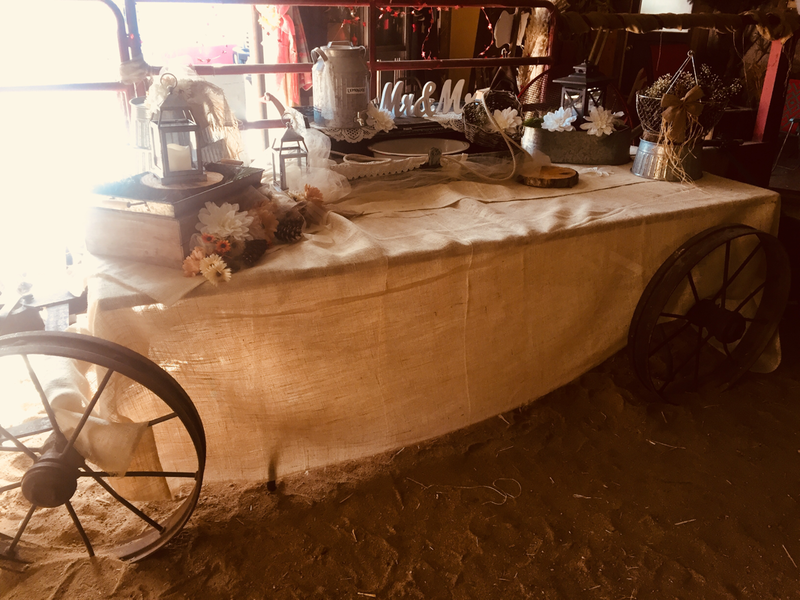 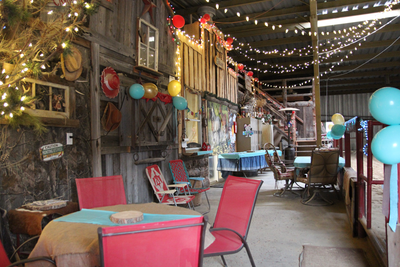 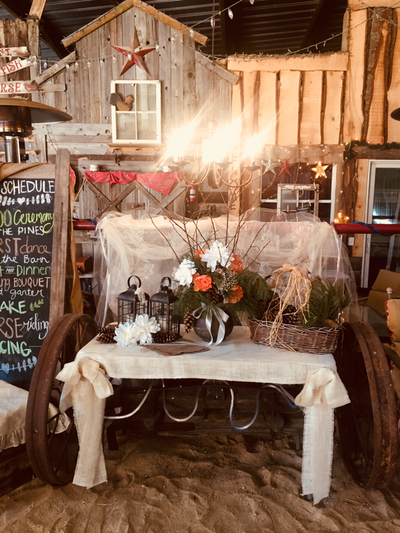 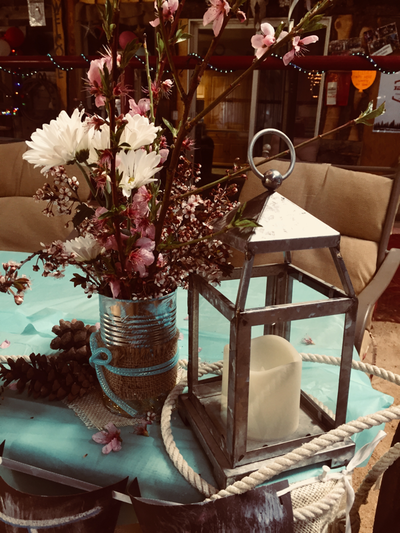 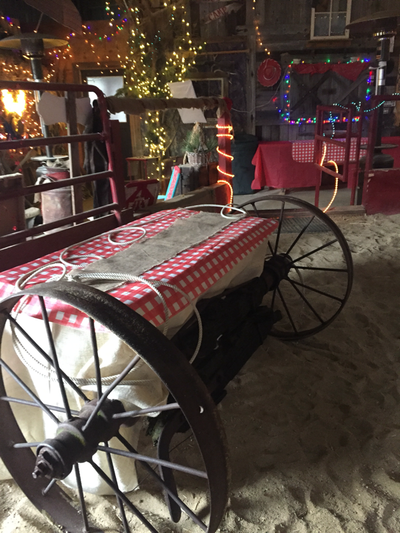 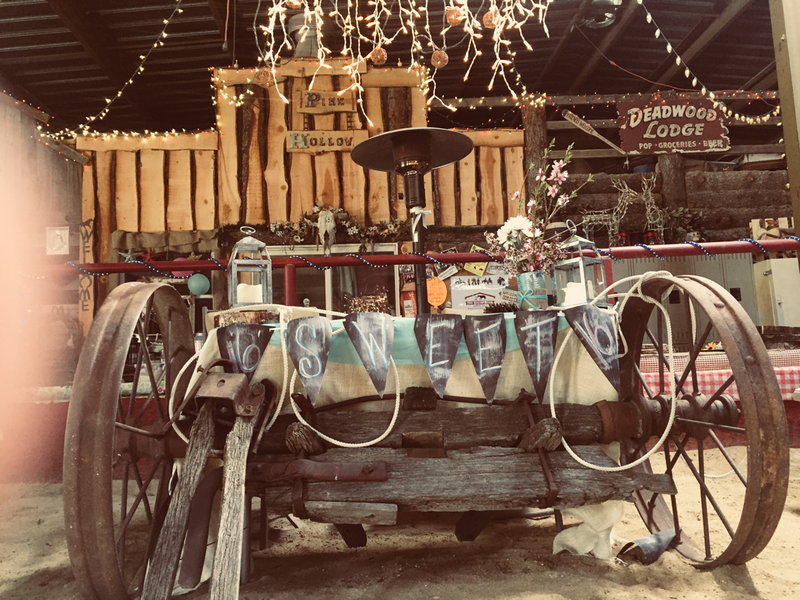 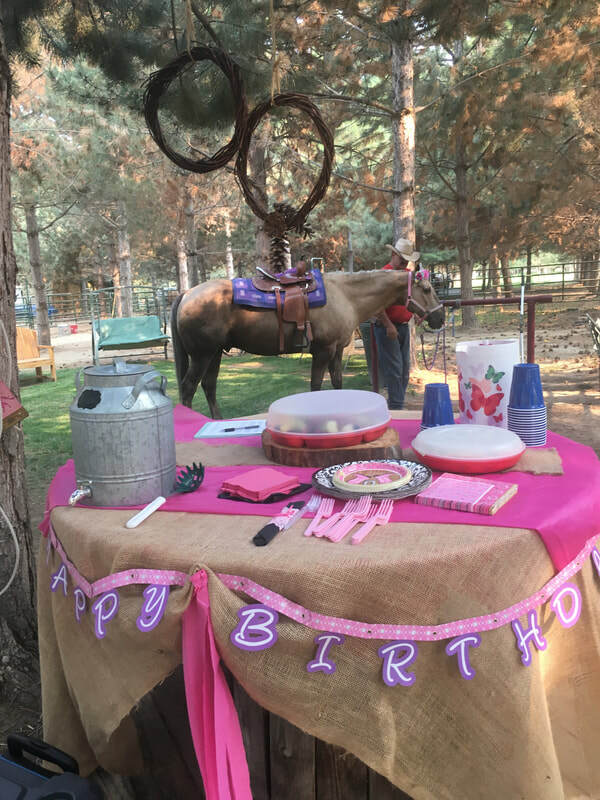 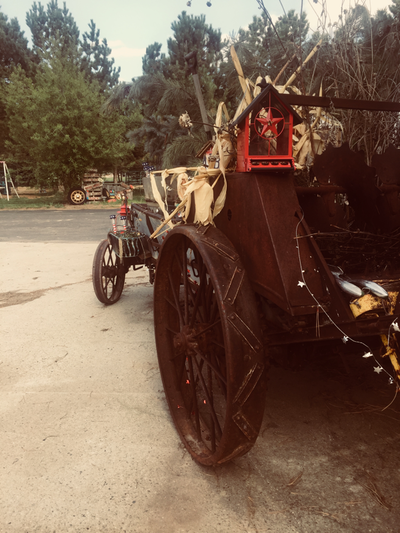 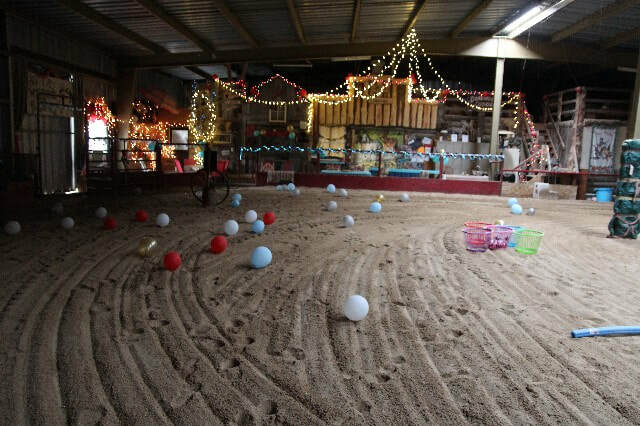 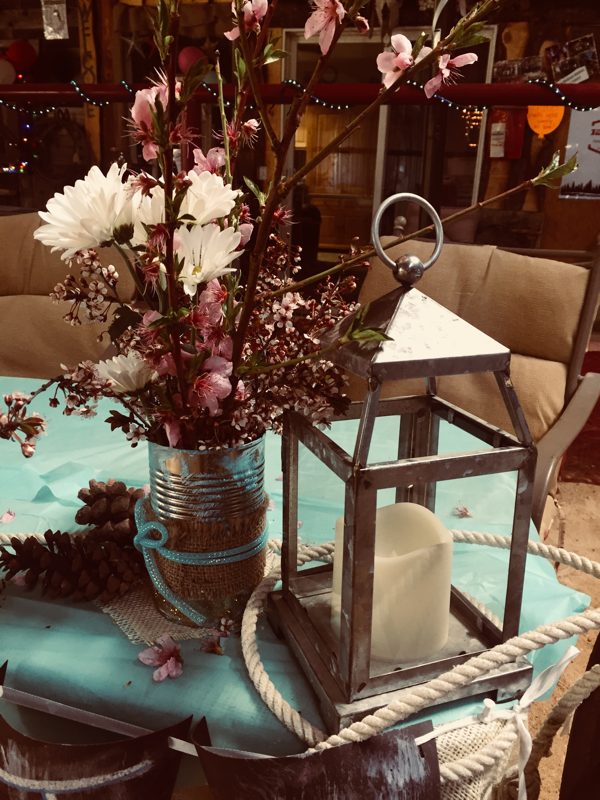 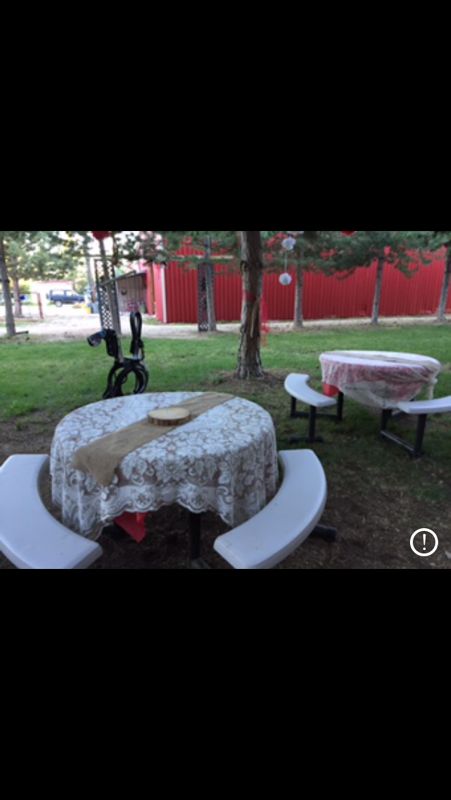 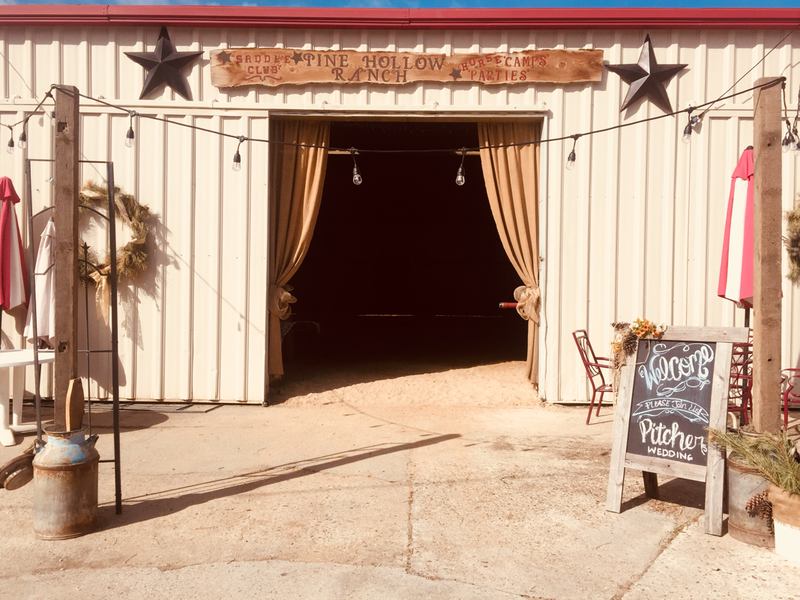 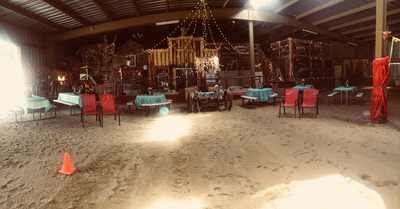 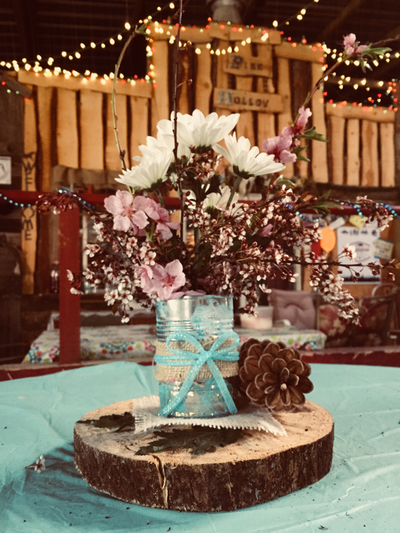 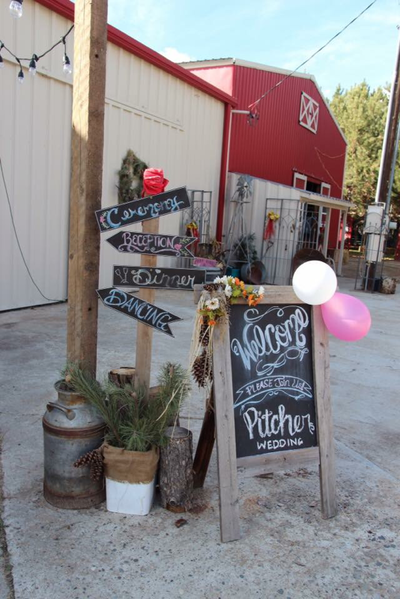 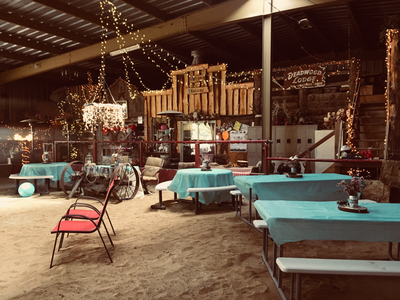 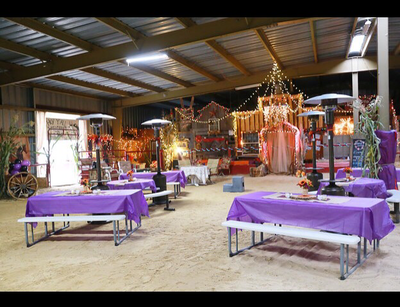 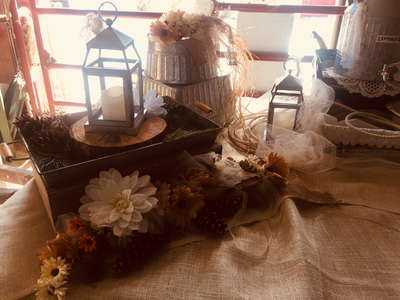 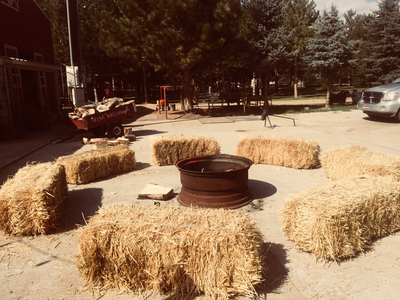 Decoration package with wagon wheels/extra tables/lanterns, 6 galvanized serving pans, old Ladder, old window for photos, photo booth with photo lighting and props/straw, Includes Cake table & Buffet wagon table. 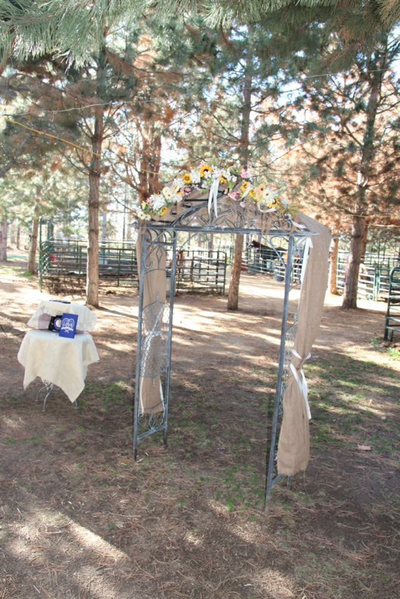 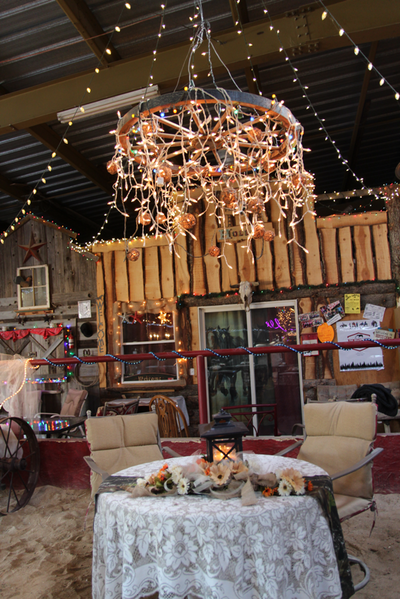 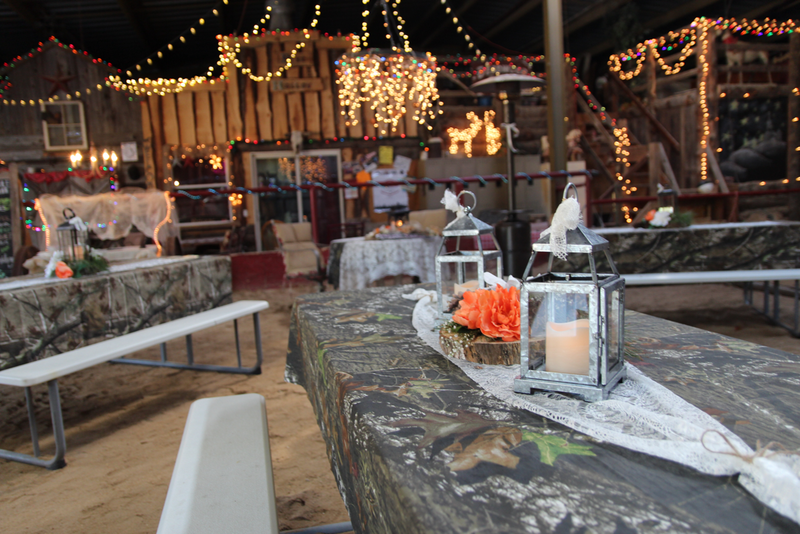 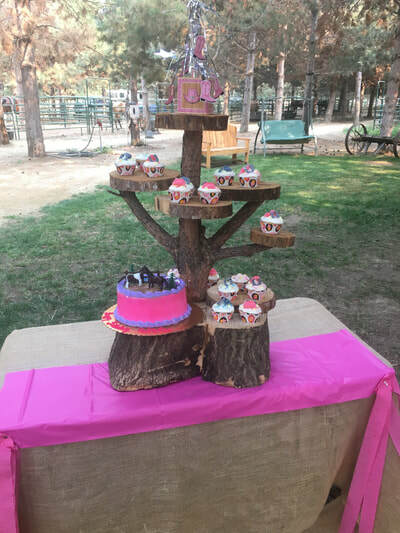 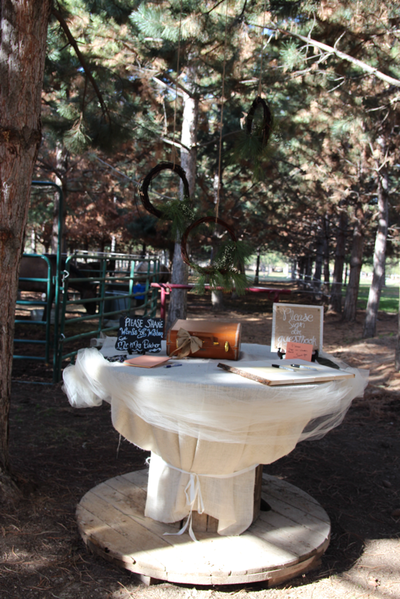 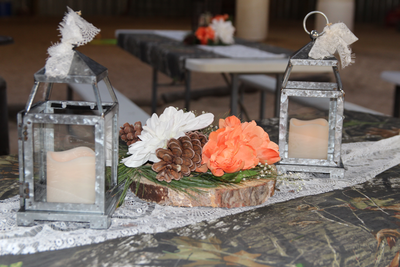 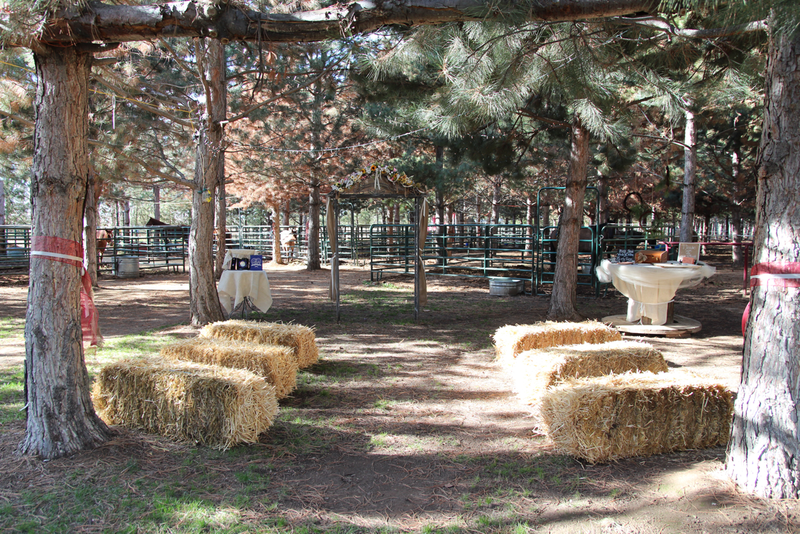 Here at Pine Hollow Ranch we customize all our clients to their Special needs, please let us know how we can help!